A well designed and finished family house arranged over four floors with a superb modern kitchen overlooking a good sized garden. This elegant property offers the right balance of luxury and family practicality, not to mention a select location that affords wonderful aspects - especially at the back across its own and surrounding gardens. Located within the Ravenscourt and Starch Green conservation area - a select area containing handsome houses that seldom see the market - loved for their large gardens and the open quality of the streets. Ravenscourt Park is within a few minutes walk, as are both Stamford Brook and Ravenscourt Park tubes. The proximity of numerous outstanding W6 schools and the local convenience of Askew Road, coupled with the shopping and transport hubs of Hammersmith and Westfield make this the perfect family location. 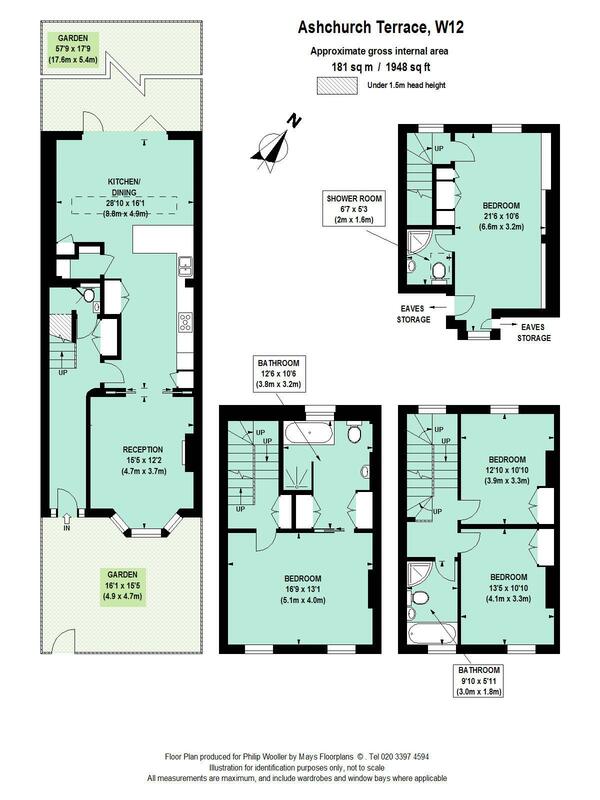 1948 sq ft / 181 sq m approx.